Valve’s stand-alone VR headset was long rumored to be in works, but we never happened to see anything coming out of the shelves. Now, for the first time, we have the first official teaser image of Valve’s upcoming VR headset called Valve Index. The Valve Index teaser image went live later on Friday on the steam page and finally confirmed that there was something really cooking up for years. 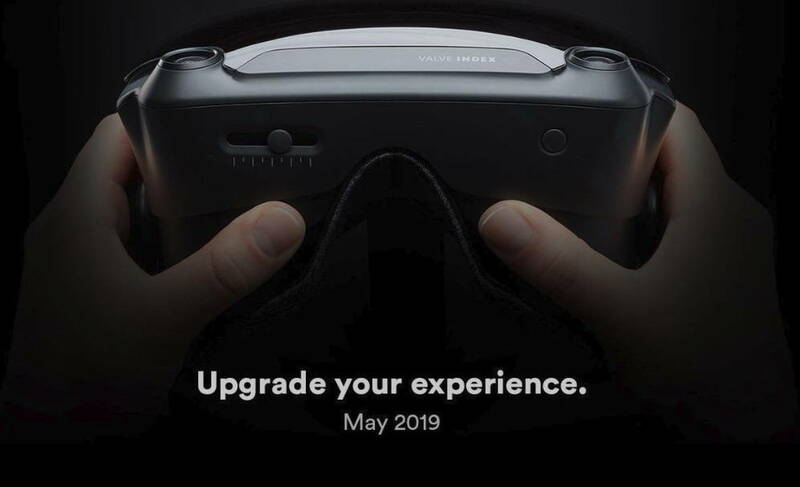 The upcoming Valve Index appears on the steam page with a tag line which says, “Upgrade your experience” and a May 2019 date. Now, this is pretty much confirmed that we will be seeing Valve’s first VR headset in May. The Steam page, however, doesn’t reveal any details and specs about the upcoming Valve Index headset. Design wise, the Valve Index appears to be the same as the HTC Vive at first sight. But the Valve Index appears to have a two lens on both sides of the headset and we are not sure how that will actually work. For now, we expect more details to be available soon, so stay tuned.